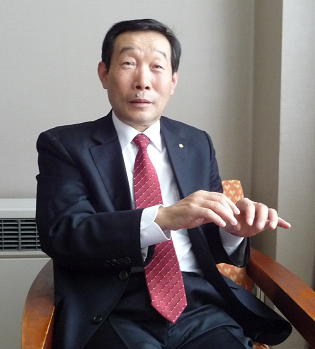 The following interview is with Dr. Kim Beom-ki (Chairperson of the Hiroshima University-Korea Alumni Association) about his memories of studying in Japan. He was awarded the title of Professor Emeritus at Korea National University of Education after teaching there for a long time. Dr. Kim has taught both in junior and senior high schools since graduating from the prestigious Seoul National University. He continued studying at the graduate school in Seoul National University at the same time he was working as a teacher. In 1986 he came to study in Japan at Hiroshima University, and after returning to his country played an important role in teaching at the Korea National University of Education. 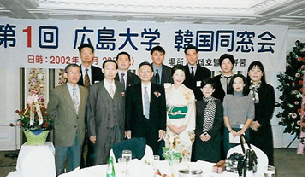 In 2002 he became the chairperson of the Hiroshima University - Korea Alumni Association, our first overseas alumni organization. Dr. Kim is now going to share his experience of studying abroad at Hiroshima University with us. -Firstly, please tell us briefly about your life before you came to study in Japan. I was born on Ganghwa Island in Korea. I completed my elementary education there, and moved to Seoul to continue my junior high school, senior high school, and university education. -Why did you move to Seoul? My father is 99 years old now, and he is still in good health. He had wanted to pursue his studies in an institute of higher learning, but my grandfather was against it. My grandfather was someone who thought that elementary education is sufficient, and that instead of continuing studying it is better to spend time doing business. That’s why my father took up a correspondence course. This was during the time when Korea was under Japanese rule. My father was told that our family had no money, but he found some money when searching my grandfather’s closet. He decided [to use the money] to let his children study in Seoul. The score required to pass the examination was very high, and I had never been to Seoul before; nonetheless I managed to pass the examinations. -Where did you stay in Seoul? I stayed in Yongdu-dong of Seoul, where my uncle lived. When I was in junior and senior high school I went to the school library to study every Saturday and Sunday. I went to the Seoul National University, College of Eductaion (*) (1966-70). In those days, teaching was considered to be the best occupation. I majored in physics in university. I had scored good results in physics at junior and senior high school, and to me, the knowledge of science is where the truth is. I thought differently about liberal arts then, and believed that there is no truth in something that cannot be explained using a numerical formula. Of course, I think differently now. -What did you do after graduating from university? In Korea, we are obliged to undertake military service. Therefore, as a college student I was trained in the student military training team for three to four years. After graduating I worked as an army officer for two years and four months. -What did you do after your military service? I became a junior high school teacher in Uijeongbu near Seoul. At the same time, I entered the graduate school in Seoul National University. -Is it normal in Korea for an in-service teacher to attend graduate school at the same time? In my case, the headmaster gave me permission to work at the junior high school in the morning and to study at the graduate school in the afternoon. -Was the graduate school course difficult? After entering the graduate school, I became a high school teacher in 1975. I was late in submitting my thesis, and managed to graduate from my master’s course in 1977. -Which high school was that? Jemulpo High School in Incheon City. It is a respected high school from which many of the students go on to prestigious universities, including Seoul National University. I worked at this high school for six years. -What did you do after that? After that I moved to a girl’s high school which is famous in Incheon, and is separated from the adjacent Jemulpo Boy’s school by one wall. Because there were not many students studying physics, I began teaching geology, mathematics, and biology. -Why did you transfer from the boy’s school to the girl’s school? In Korea there was a rule in which teachers are not allowed to teach at the same high school more than five years. However, I was asked to stay for another year, so in total I was there for six years. After that, I was transferred to the girl’s school. In this high school, teachers of Korean language, English, and Mathematics were more privileged than Physics teachers. There were 12 classes in total, but I could only teach one class. Around that time, I began teaching Physics as the “Studio Teacher” for the Korean Educational Broadcasting System. I was teaching Physics on TV while also teaching at the girl’s school. That went on for about two years. At first I was very nervous about the broadcasting job, and my students teased me saying that my face on camera looked different from usual. I found it challenging to talk to just a camera instead of my students while also trying to pay attention to the timer. Sometimes I needed to show images for the broadcast, and the TV studio would come to film my students doing experiments. In spite of spending a couple of hours filming only a few minutes of footage was actually broadcasted. -What made you come to Japan to study? When I was in the boy’s school, I could teach only physics. But after transferring to the girl’s school, I had to teach other subjects besides physics, and my teaching hours increased as a result. That motivated me to consider furthering my studies for my own sake. I was considering studying in Japan, but my alma mater, Seoul National University had no connections with Japan at that time. Around that time, my wife, who was a high school music teacher, was granted the Japanese Government Scholarship for teacher training student (*) to go to Nara University of Education. At that, I also applied to become a research student at the same university. (*)The teacher training program is one of the government-sponsored scholarships available under the Japanese Government (Monbukagakusho)　Scholarship program. Teachers from elementary and secondary schools overseas will undergo special training at a teacher training department in Japanese universities for one year and six months including Japanese-language training in the first six months. -How long were you in Nara? It was only for one year in 1984. My supervisor was Professor Shirou Nagata who was a graduate from Hiroshima University. There was no PhD program in Nara University of Education, and Osaka University which was nearby did not have courses in science teaching, either. The professor of Osaka University recommended Tsukuba University or Hiroshima University if I wanted to major in science teaching. I made my inquiries and was told by Tsukuba University that if I were to go there, I had to start with a Master’s program. Hiroshima University was the same, but from the year I applied to enter, they changed the system. I became the first international student to enter from a PhD program. -Why didn’t you consider entering the Seoul National University? A PhD program in curriculum teaching was not available at Seoul National University at that time. -Did you study Japanese before coming to Japan? Nara was my first destination in Japan. I studied Japanese a little before I left Korea, but couldn’t learn much as I studied on my own. After arriving in Japan I continued to study Japanese alongside taking my regular lectures. I couldn’t understand the scientific terms in Science Education classes, but managed to follow the lesson through the numeric formulas written on the board. -Were the kanji characters difficult? I had studied kanji when I was young, so I could understand some of them. I remember an interesting incident. I attended a class on the history of science, taken by Professor Tomosuke Terakawa. The book he used contained some old kanji characters, and sometimes there were words that the Japanese students couldn’t understand because they didn’t know how to read the old kanji. -The Japanese students didn’t know how to read the old kanji. I could read both [the simplified and old kanji](*). Professor Terakawa found it amusing that the Korean student could read it when the Japanese students couldn’t. (*) The kanji used in Korea are not simplified as they are in contemporary Japanese. The characters used resemble Japanese traditional characters. -When did Korea abolish Kanji education? There were movements to encourage the use of only Hangeul, and so it [kanji education] started to fade. When I was a student the Korean Language textbooks were written in both kanji and Hangeul. However, my younger brother and sister couldn’t read the kanji characters in the textbook when they entered university. Each time I went home, they would ask me many questions on kanji characters. When I was studying Japanese, I was told not to read the editorial column in the newspaper because it was too difficult. But for me, it was in fact easier to learn. There were many kanji characters used in the editorial column, and so I could understand it readily. My wife retired recently. She joined the Japanese Club from March this year and started studying Japanese. Looking at the textbooks she is using, I found that the junior high school textbook is very easy to read. However, in the 2nd grade elementary textbook the poems are written in hiragana only, and I found this to be difficult. In other words, reading the textbooks in university was not a problem for me at all. My pronunciation might be awkward, but I could read them. -Do you agree that knowing kanji is an advantage when studying in Japan? I spent one year learning Japanese from Professor Kunio Okuda. Although he had resided in the USA for 10 years, Professor Okuda used only Japanese in his classes and no English was spoken. Because of this, everyone’s Japanese improved rapidly. -So you moved to Hiroshima University in 1985? The campus was located in Higashi-Senda in Hiroshima City (*1). The dormitory I stayed in was in Kannon-Shinmachi. I was the only Korean there, and there were also students from China, Indonesia, and Iran, as well as Japan. There were two buildings and it was near the old Hiroshima Airport (*2). It took me about 40 minutes to cycle to the campus at first, but the time shrank to between 15 and 20 minutes as time went by. (*1) The Faculty of Education was located in Higashi-Senda campus in Hiroshima City before it moved to the Higashi-Hiroshima campus in September 1989. (*2) Back then, Hiroshima Airport was located at the river mouth of the Ota River Drainage Canal. In 1993 when the new Hiroshima Airport started operating in Hongo Town, Mihara City, this airport’s name was changed to Hiroshima-Nishi Airport. This airport closed down in 2012 and is now used as a heliport. -What was your impression of Hiroshima when you first arrived here? I think it was around the 5th or 6th grade of elementary school when I first came across the word “Hiroshima” in my social studies textbook. It was described as a place where an atomic bomb was dropped, many people died, and the radiation impact still existed. I told myself I would not go to Hiroshima. That was when I was an elementary school pupil. When I moved there, however, I found that Hiroshima is a good place for international students to learn and study. It is not too big, nor too small, and it has everything we need. It is also a very pleasant place to live. -Were there any other international students in your laboratory? In my lab, there was a student called Manzano from the Philippines who arrived before me. He became an assistant professor and worked at Hiroshima University for approximately 10 years. When I became a professor, I invited Manzano to a conference in Korea. Most of my laboratory classmates came to Korea eventually. Also, many of my labmates became professors in curriculum teaching in Japan. I meet many professors who graduated from Hiroshima University. They were professors from Hyogo University of Teacher Education, Kanazawa University, and Kumamoto University, for example. I meet many of them when I attend the Society of Japan Science Teaching conference. -How many Korean students were there at that time? There were about 40 of us back then (*). There were not many undergraduate students; most of us were graduates. Many majored in Japanese Language Education, and became Japanese Language teachers after returning to Korea. 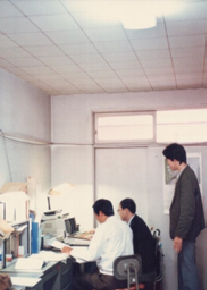 (*) As of 1989, there were a total of 369 international students in Hiroshima University, the majority (135) from China with Korean students in second with 3 undergraduate and 38 graduate students. I sat the examination one year after coming to Hiroshima. All 10 examinees were international students, and five managed to pass the examination. After the result was announced, I went out for dinner and drinks with my labmates to celebrate. Our lab assistant said to us, “We are now all friends who are sharing food together.” It made me wonder what he had thought of me for the year before! -How was your financial state studying as a self-sponsored student? My wife was teaching at a private school in Osaka, and I managed to get scholarships from Kumahira Foundation(*1) for one year and Rotary Yoneyama Memorial Foundation(*2) for two years. Both of these helped me a lot financially. I am now a member of the Rotary Club in Korea. Whenever there are Club exchange meetings with Japan, I will pick up my fellow members from the airport. (*1) Kumahira Foundation was founded in 1984 to sponsor international students in Hiroshima Prefecture. The name was changed to Kumahira Scholarship & Cultural Foundation in 2006. (*2) Rotary Yoneyama Memorial Foundation provides privately sponsored scholarships to international students pursuing academic studies and/or research in Japan. 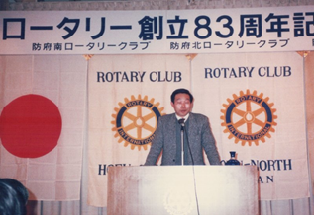 The scholarship funds come from contributions made by all the Rotarians in Japan, and it is the biggest private organization to provide scholarships. -Did you have any problems with the culture and custom differences? I didn’t have any problems at all and I was very grateful for everything. However, there were some international students who didn’t think in the same way. -How did you cope with food? I visited my wife in Osaka once every three or four weeks, and each time I went there, [I ate Korean food and] I had a stomachache. In Hiroshima, I usually ate Japanese food in a cafeteria nearby so it seemed my stomach was already used to Japanese food. I can live without Korean food for two or three weeks when I go to foreign countries. On the other hand, people who study abroad in the USA are different as they can eat Korean food at home. As these students eat this every day, especially those who have their family with them, they miss it after merely two or three days in a foreign country. This is not a problem for me at all as I am used to Japanese food. [Compared to Korean food] it is not spicy at all, rather, a little sweet. -How long did you stay in the dormitory? I stayed in the dormitory for two years. 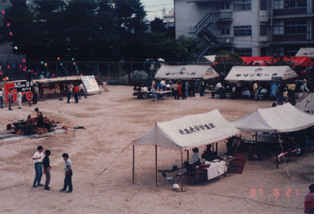 After that, I moved to a room near the Higashi -Senda campus when I needed to write my thesis. My room was on the 2nd floor of a three-story building, and my landlord and landlady were staying on the 1st floor. 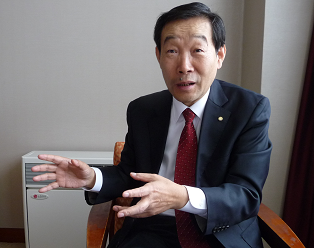 Professor Takemura was actively involved in international exchange activities. He used to go abroad at least five times a year, and he did collaborative research with prestigious professors from the USA, Australia, and other countries. Because of that, I didn’t need to go abroad to meet famous professors in Science Teaching; I could see them in Hiroshima. -That was an ideal environment, wasn’t it? Whenever international conferences were held in Hiroshima, our labmates became very busy with the preparations, although I didn’t help much. What I learned through such projects is beyond what I learned from books. When there was a big project, I learned a lot from each stage of the preparations. -What kind of research did Professor Takemura do? Professor Takemura is a graduate from Hiroshima University and was working as a Senior Specialist for the Ministry of Education, Science, Sports and Culture. He was a specialist in curriculum development, and went around the country giving lectures on that subject. He was at Columbia University in the USA doing research for one year, and he was very fluent in English. After retirement, he went to Kenya for five years for international cooperation activities. I was particularly grateful to him for his talks on curriculum development. Taking after Professor Takemura, I became the person in charge of developing curriculums for elementary, junior high, and senior high schools in Korea. That was in 1999. I was asked to do this again in 2009. I was about to retire at that time, so I declined, but eventually I took up the offer. As a result, I was in-charge of developing science curriculums twice. -What research did you do in the graduate school? Initially I was comparing the level of academic achievement in physics between Japanese and Korean students. I also studied the science curriculum in Japan and Korea and discovered that they are very similar. Korea changed its learning style to the American style later, and eventually Japan did the same. However, only the junior and senior high schools followed the American style, whereas elementary schools did not show a similar change. -Were there any memorable incidents during your seminars? One thing I remember about my seminars in Japan was the questions professors asked students at the end of the seminar. In Korea, the professor will just ask if anyone has any questions, and if nobody raised their hands to ask, that will be the end. But in Japan, the professor would ask each and every student a question, and they have to answer. Moreover, the answers must not be the same as other students. I was impressed by this. Answering the questions first is easier than answering last. Also, when making presentations, I used to read in English, think in Korean and present in Japanese. I needed seven dictionaries for this; English-Japanese, Japanese-English, English-Korean, Korean-English, Japanese-Korean, Korean-Japanese, and a Kanji dictionary. I needed the Kanji dictionary because although I could understand the meaning of the kanji, I didn’t know the way to pronounce them in Japanese. -Did you prepare your handouts in Japanese? Yes, I did. At first I could type only four pages using a word processor, but later when I started using the PC-9801 (*), things got much easier. In fact, I still have it. (*) PC-9801 was a personal computer manufactured by the well-known NEC. It had an excellent Japanese display function. The problem with typing using a word processor was that I did not know the pronunciation of the kanji. The PC cost 200 thousand yen for 20MB and back then, and a lab assistant’s salary was 160 thousand yen per month. Because of this, the PC was my treasure. -How was your PhD thesis? Professor Takemura was a very busy person. When I was writing my thesis, I tried to make an appointment to meet him at least once a week. I had to meet him before I could arrange for the next appointment. There was a time I even went to Hiroshima Station to meet him before he boarded the Shinkansen. -You managed to submit your PhD thesis after overcoming all these hardships. I was told by my professor to make my oral presentation exactly 20 minutes long, so I recorded myself each time I practiced. My presentation on the actual day was approximately 19 minutes and 50 seconds. The chairperson of my thesis examination, who was also the dean at that time, commented, “You managed to finish the presentation within the designated time.” After that, the professors of the committee asked me some questions on my thesis. -What did you do after returning to your home country? I was still a teacher when I went to study abroad. I received half the amount of my wages when I was studying but had to pay the full amount for my pension premium. I retained my status as a government employee, and so I reported in after returning to Korea. I then received the letter of appointment to teach at a high school in Incheon City. At the same time, there was a vacancy for teaching physics at the Korea National University of Education. I applied for it, I think that was around June, and started working there in September. -How would you describe the Korea National University of Education? The Korea National University of Education is a center for education in Korea. All principals from elementary, and junior and senior high schools will undergo training there. However, training for principals in Seoul City is held in Seoul. The original idea was to undertake education for teachers all over the country in Korea National University of Education. Every year about 300 current teachers are accepted into the two years Master’s Course in Korea National University of Education. While studying, these teachers will still receive their normal teaching wages. -As the chairperson of the Hiroshima University - Korea Alumni Association (*), could you tell us how you got this organization established? Graduates from Hiroshima University used to meet up as individuals, but not as a group. Somehow I thought it would be better to set up a group to exchange information and to interact with each other, and so I established this alumni association in November 2002. 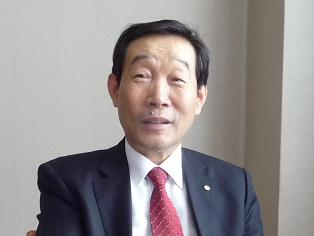 (*) Hiroshima University-Korea Alumni Association(Chairperson：Kim Beom-ki・Professor Emeritus, Korea National University of Education) was established in November 2002. It was Hiroshima University’s first overseas alumni association. -Before that, you had never met as a group? No. We didn’t know students from other majors. I only knew people who were studying the same major or Koreans who were studying at the same time as me. That was why I thought it was a good idea to meet up with others as well. But society has changed; there are some people who do not like to interact in a group environment anymore. 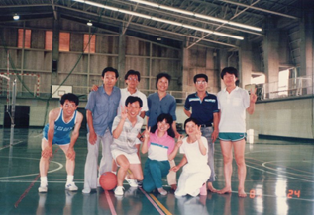 -Hiroshima University - Korea Alumni Association was our first overseas alumni association. Did anyone from Hiroshima University attend the inaugural ceremony? Yes. 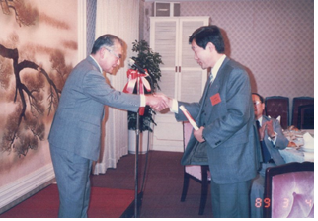 We invited Professor Taizo Muta, the President of Hiroshima University at that time. The preparations for establishment were mainly organized by Choi Seung-Wook and Choi Chul-Soon who majored in physical education. Since most of my university seniors had already retired, they didn’t attend the inaugural ceremony. My senior at Hiroshima University, who is also my former teacher, passed away last year at the age of 90. He was also a friend of the famous mathematics educator, Professor Kazuo Iwago. -What do you think of your life in Hiroshima University? Personally, I think it matched with what I wanted to learn, and the knowledge helped me a lot when I was teaching in Korea. I got to meet many people through the work in my laboratory; I was able to associate with Japanese professors in science education, and meet students from many countries all over the world such as China, the Philippines, and Thailand. Through projects I was involved in I was also able to learn many things beyond what I had studied in books. I learned about culture from the Rotary Club as well. When I was in the university my priority was to obtain my PhD, so I was very engrossed in studying the curriculum. Now when I think back, I wish I had studied more about Japanese culture. -Lately, the numbers of Korean students studying in Japan has decreased. Do you have any message to Korean students studying at Hiroshima University? Today, the universities in Korea are mainly focusing on [research and study undertaken in] the USA. When I was studying science education, journals from the USA, England, Germany, France, Russia, and Japan were available all the time, which was a good thing, I think. The situation is similar in the university where I used to work. There used to be five graduates from Japan, but now there is only one after all the others retired. I think it is important to be able to look at things from various perspectives. Therefore, people who have experience studying in a foreign country – the USA, Japan, Europe – are vital human resources for a country’s education system. I think that it is important for Korean students studying in Japan not only to study hard in their major, but to also interact with people from other countries and learn as much as they can from these friendships. Professor Kim studied the curriculum of science teaching in both Japan and Korea at Hiroshima University based on his experience as a teacher in junior and senior high schools. After returning to his home country, he taught at the Korea National University of Education. At the same time, he made use of the knowledge he gained from his study abroad at Hiroshima University and was appointed twice as the person in charge of developing curriculums for elementary, and junior and senior high schools in Korea. He has made a great contribution to educational development in his country. In addition, he has a broad research network, not only with researchers all over the world that he made acquaintances with through projects at Hiroshima University, but also with his fellow Japanese and foreign labmates who have become distinguished researchers in their affiliated institutions.